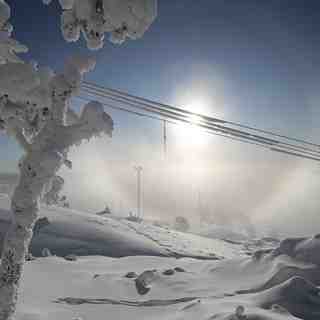 Is it snowing in Ruka ?¡Gracias! Ruka has a snow guarantee and excellent grooming. 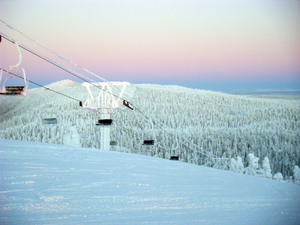 The 29 slopes at Ruka provide something for everyone. They range from gentle slopes for the beginners to tempting gradients for the advanced skiers. 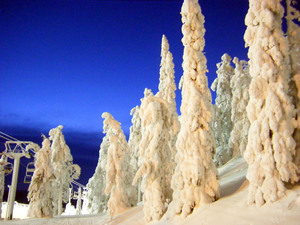 They pride themselves with the excellent conditions; no ice or rocks can be found on the slopes at Ruka. 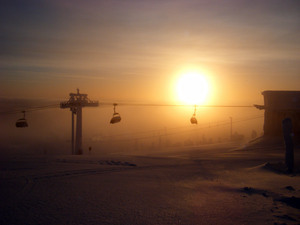 We're just about to visit Ruka for our fifth consecutive year! Each time we say we'll go somewhere else, but we keep getting drawn back. And each year our group gets bigger as everyone we take loves it too! 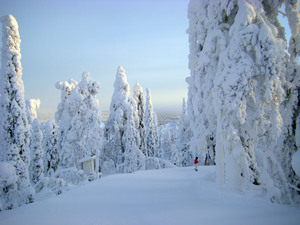 We always book with Crystal Ski as they seem to be the only UK airline that flies directly to Kuusamo. And if you time it right, you can get flights and accommodation for about £300. You just have to check the website very regularly! For this bargain price, the accommodation is second to none. Spotlessly clean and spacious. We book a 4-6 bed apartment for two of us as there is only about £10 difference in price (again, you have to time it right). Soooooo much more space for your money than in the Alps. And every apartment has its own private sauna and log fire. Bliss! The village is small but there are plenty of places to eat, the food is really good and portions are big. The Finnish locals are super friendly and the service is amazing. There is a small supermarket in the village centre, and a bigger one a bit further out. The ski resort is also small, a keen skier/boarder could do all the runs in a day, but there are loads of off-piste runs through the trees, a half pipe, and a good park, all of which keep us entertained for the week. The other good thing about a small resort is that if you're with a mixed-ability group, or if you all head out at different times in the morning, it's very easy to go and do your own thing then find each other again. We always visit mid-January and therefore the resort is dead (having never visited in half-term, I can't advise on how busy it gets). We have never queued for a lift and sometimes we can have a whole run to ourselves! However, they are currently expanding the resort and building a whole new village, so the above might not be true in a couple of years! Daylight hours are short, but all pistes are floodlit really well. With the temperature continually staying below zero, the snow never thaws and therefore there aren't any icy patches. One year we visited, it hadn't snowed for almost a month before we arrived, but the snow on the pistes was still abundant and powdery. They also have excellent snow-making facilities. As the resort is small, piste management is really efficient, with nearly all pistes being groomed every other day. With regards to snowboarding and flat sections, I've only found one area of about 70 m that I have to unclip and walk. No matter if I point my board straight and go as fast as I can, I still can never quite make it without walking or borrowing a ski pole to row along. Overall, Ruka is beautiful and should definitely be experienced at least once. Another perk is the random fire huts and fire pits dotted around the fell. Perfect when you need a break to thaw out and toast a marshmallow. 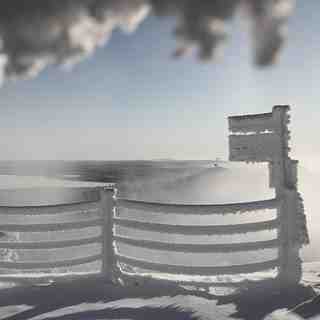 - Ruka is no mountain range, it's very much a hill. After 4 years there, I have found myself craving long Alpine runs, proper off-piste, and views of mountains. However, we manage to get it so cheap, we can also book another budget week in the Alps as well. - Cold! In our first year we went early Jan and the temperature got down to -30C. Folks, I got frostbite on my nose!!! Luckily, only in the very top layers of skin so no lasting damage! We now go later in Jan, but it still frequently gets to -20C and below. - Quiet apres-ski scene. There is a bar that stays open until the small hours and does karaoke, but in general, it's not a party resort. - If you book an apartment, go for the bigger one where possible. The small ones do feel a bit cramped. This year (2018, booking for 2019), it was actually cheaper to book the bigger apartment! - If you want to go to the village in the evenings for food, avoid accommodation that isn't within walking distance as the bus stops running at about 19:30 and taxis are expensive. - Layers! Lots of layers!